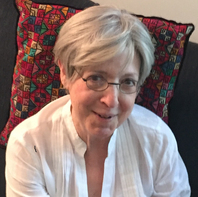 Susan Gubar was awarded, with Sandra M. Gilbert, the Ivan Sandrof Lifetime Achievement Award by the National Book Critics Circle. She is the author of Memoir of a Debulked Woman and has authored and edited numerous works of criticism. She writes the monthly online New York Times column "Living with Cancer" and lives in Bloomington, Indiana.